Several residents of the JAA's Weinberg Terrace spent the morning at the Islamic Center of Pittsburgh, learning about Islam from Imam Hamza Perez. Naomi Greenblott has been interested in other religions her whole life, but she had never visited a mosque. 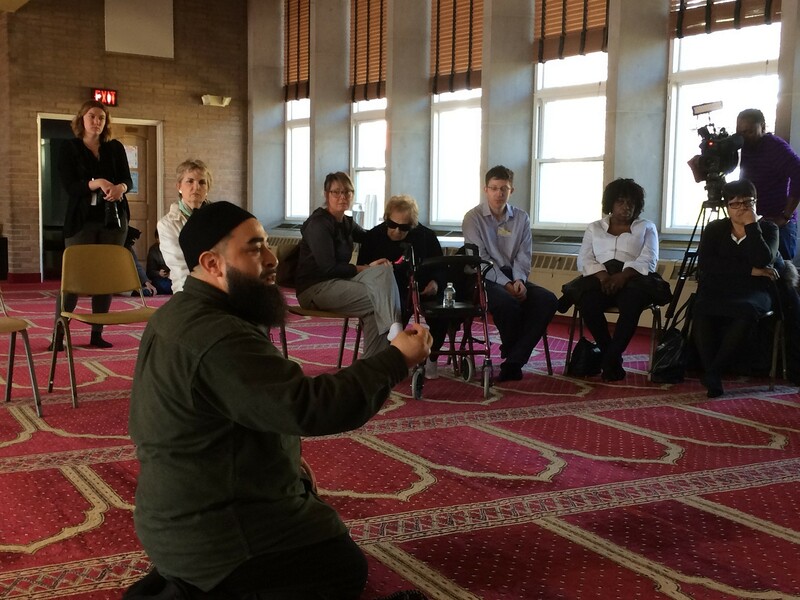 That changed on March 27, when she and seven other residents of the Jewish Association on Aging’s Weinberg Terrace spent the morning at the Islamic Center of Pittsburgh, learning about Islam from Imam Hamza Perez. 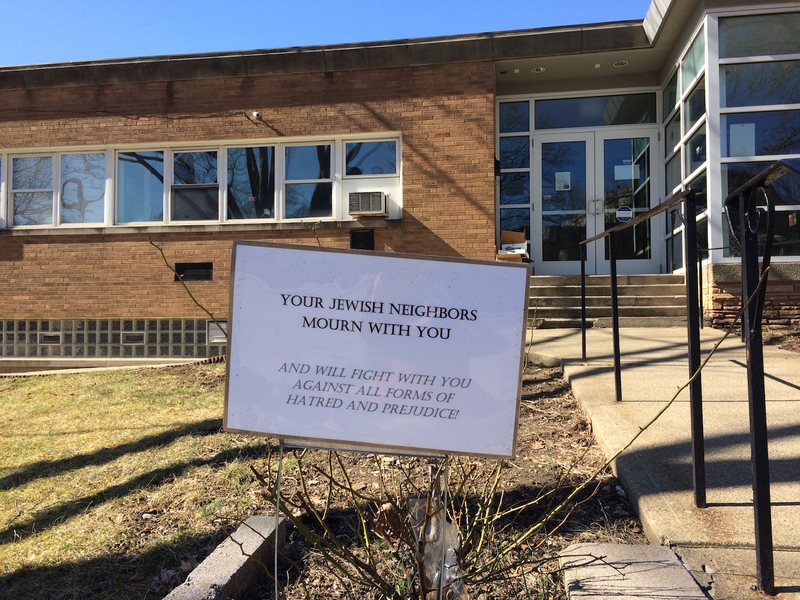 The excursion to the Oakland mosque was the idea of Tara Bailey, the activities director at Weinberg Terrace, a personal care facility in Squirrel Hill. Bailey also is a member of the Islamic Center. “The Muslim community was pivotal in supporting members of Tree of Life” following the Oct. 27 massacre, explained Bailey. Following the massacre, Muslim groups raised significant funds for the victims’ families, and stood side by side with Jewish Pittsburgh at several vigils. Likewise, the Pittsburgh Jewish community reached out to help the Muslim community in Christchurch, New Zealand, after the March 15 attacks that resulted in the murder of 50 Muslims in prayer, Bailey said. The Jewish Federation of Greater Pittsburgh raised more than $230,000 for the victims and their families in just a few days, and Tree of Life*Or L’Simcha raised almost $60,000. After Christchurch, the residents of Weinberg Terrace — many of whom are members of Tree of Life*Or L’Simcha — also “wanted to do something to show their support,” Bailey said. As they entered the Islamic Center, residents removed their shoes and headed into the prayer hall, or musalla, where they sat in chairs in a semicircle, with Perez seated on the floor before them. Perez, who was born in Puerto Rico and is a convert to Islam, spent the next 45 minutes discussing the precepts and traditions of his religion, and its commonalities to Judaism and Christianity. He also fielded questions from the residents and the staff accompanying them on such topics as holidays, burial practices and dietary laws. The massacres at the Tree of Life synagogue building and at the Christchurch mosques less than five months later both resulted from a “problem that has not been properly addressed — the problem of white supremacy,” he said, suggesting that actions such as the visit of the Weinberg Terrace residents to the Islamic Center, and the mutual support of targeted communities, is part of the solution.